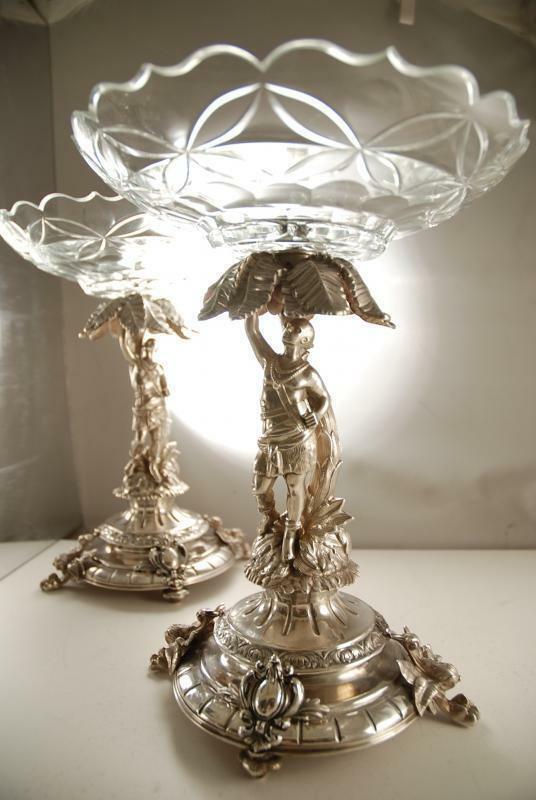 Silver Antique - Sterling or Plated? 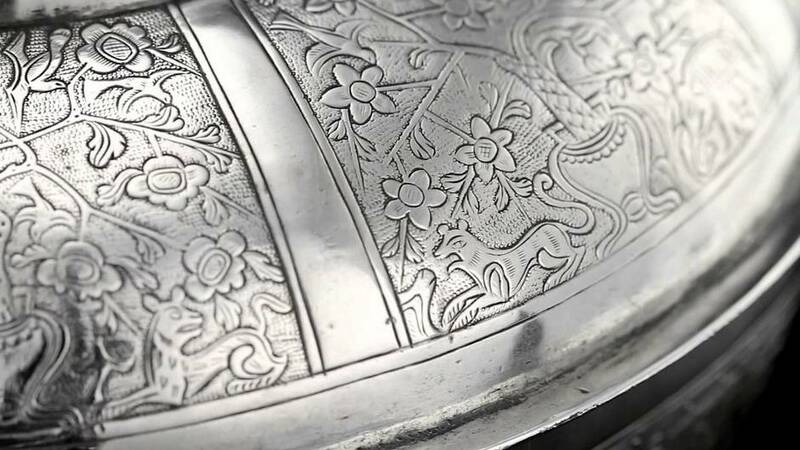 How to tell if antique is sterling silver or plate by the back stamp or marks? 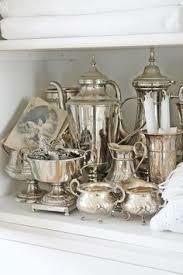 You just inherited a silver antique art collection. 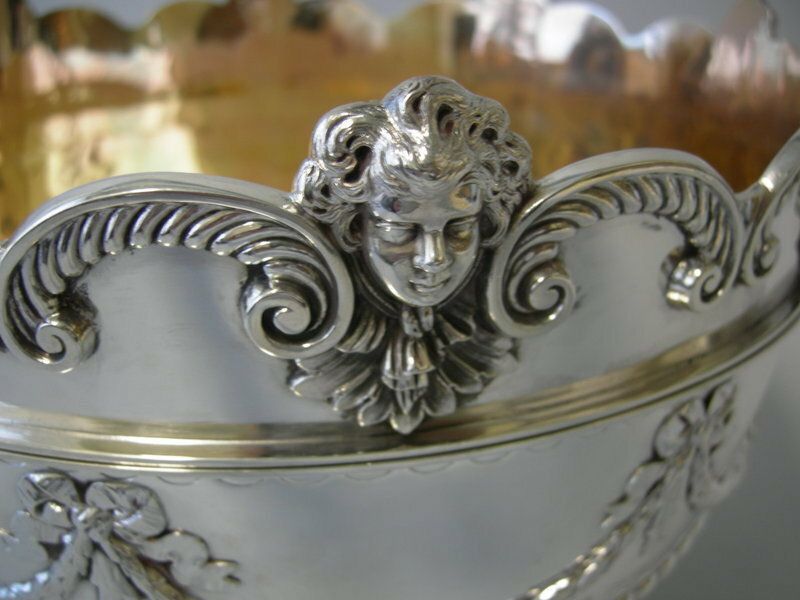 How do you tell if it is sterling silver or silver plate? 1.) Look at the back stamp. The writing can be very small. You may need magnifying glass or a jeweler’s loop. Sometimes squinting helps. If it is marked as sterling, then you have solid sterling silver, which is 92.5% silver and 7.5% copper or brass. 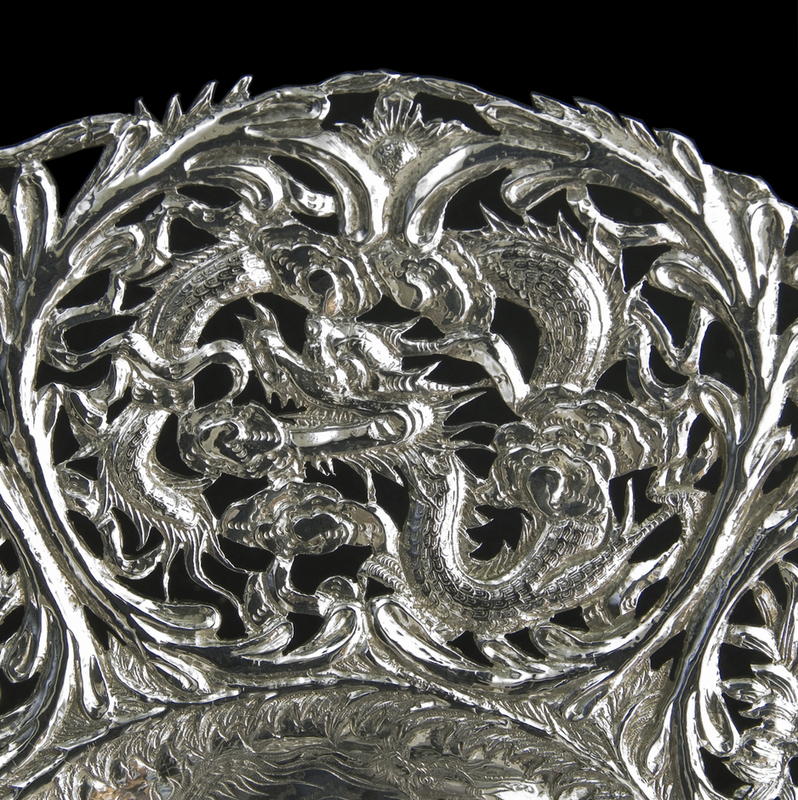 Please refer to our page on Silver Mark and Silver Fineness. 2.) 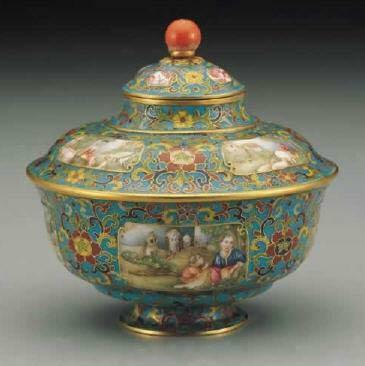 How to calculate the intrinsic value or silver content in silverware? To calculate the intrinsic or value of silver in objects marked sterling, multiply the weight in grams by the spot price of silver, eg. $16/troy oz and multiply this by 0.0297. For example, in a 65g table spoon, the value of silver is 65g x $16 x 0.0297 = $30.89. Any piece with a hollow handle must not be included in this calculation. The handle is filled with pitch -a solid tar byproduct from the petroleum industry, plaster, concrete or lead. 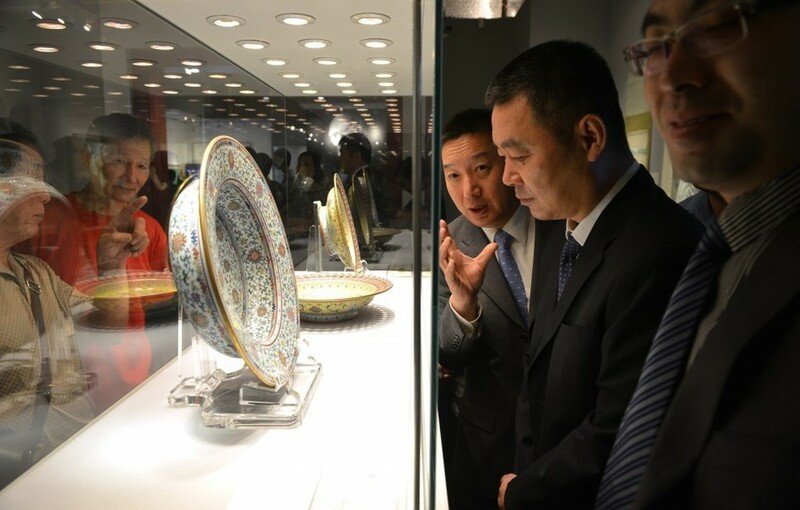 Also, the blade is composed of steel which has virtually no intrinsic value. An estimate of the sterling silver content of hollow handled pieces is: Dinner knives 15-20g, luncheon knives 10-15g and butter spreaders 7-15g. 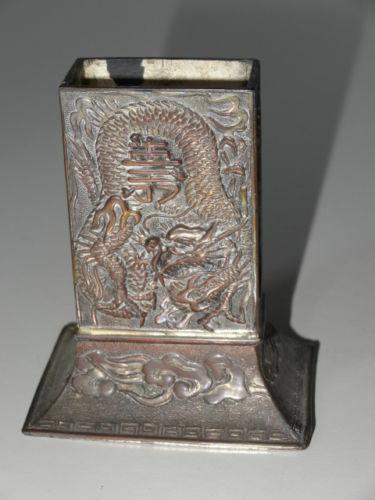 A Silver Plated Match Box holder. 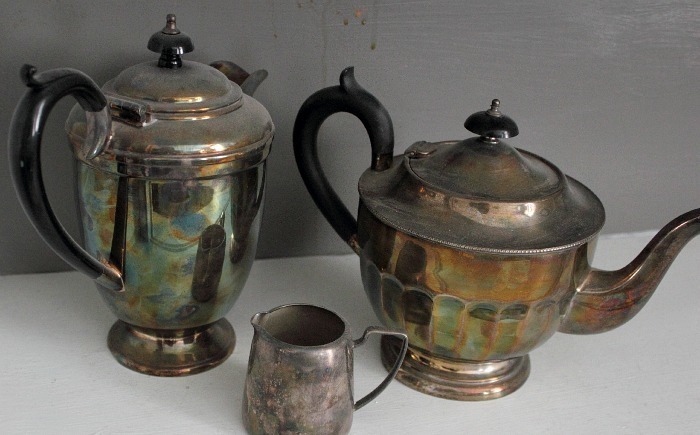 Silver had already worn off and revealing the copper inner metal. 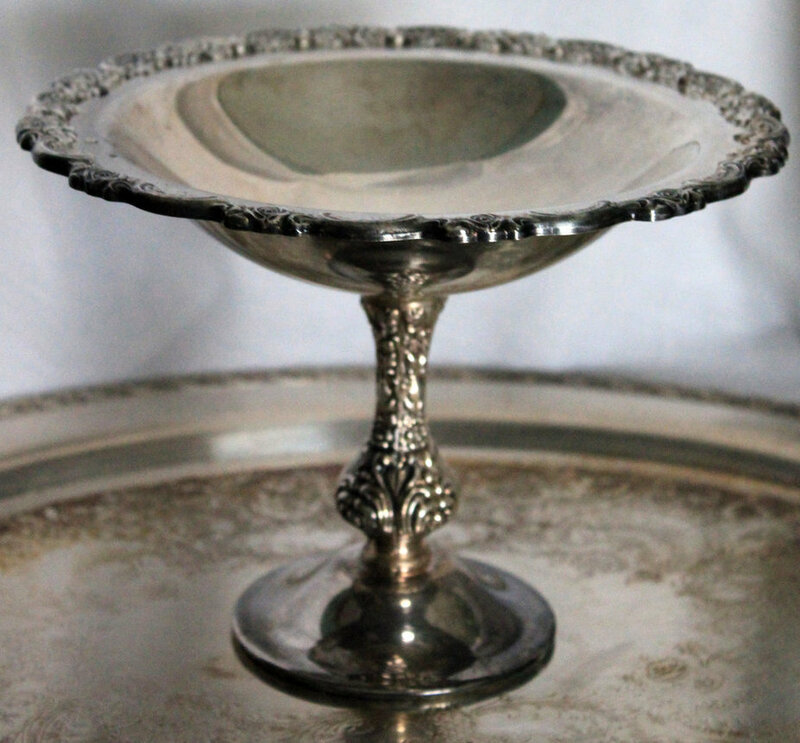 A beautiful Silver Plated Tazza. Sometimes it is difficult just to look at the item. 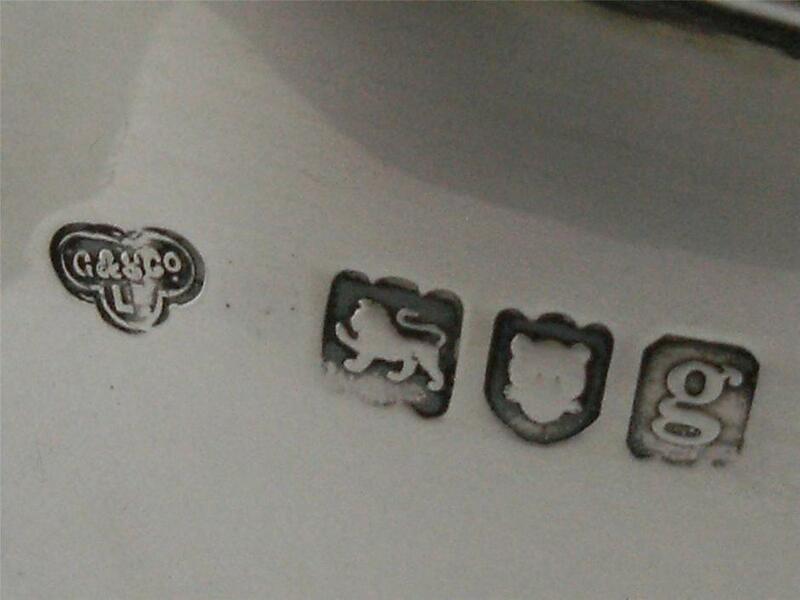 Look for hallmarks. 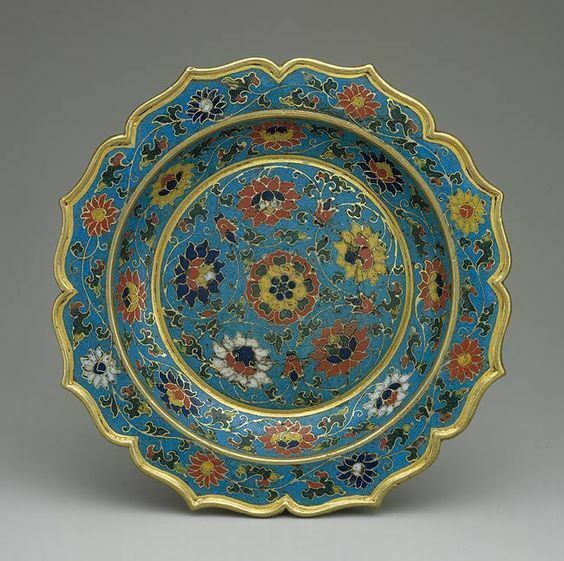 Silver plate is a process of electrochemically depositing a thin layer of pure silver on a base metal such as copper, nickel or steel. This was first done by the Italian chemist Luigi V. Brugnatelli in 1805. 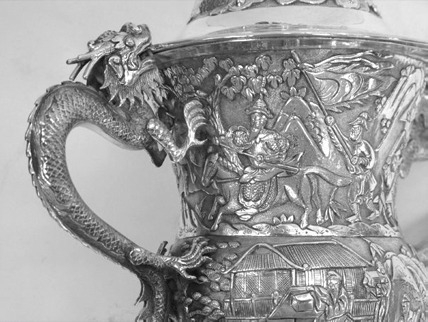 Commercial silver-plating was patented by the British brothers George and Henry Elkington in 1840 and then spread around the world. Silver plated articles have very little intrinsic value. 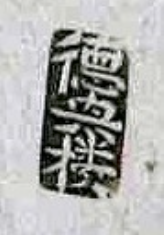 If the back stamp contains any of the following words, then it is likely silver plate. If your piece of flatware does not contain the word sterling or the above identifiable silver plate marks, we recommend testing it.